Even though the warm weather is taking its sweet time arrive, my husband and I still love to grill out. In fact, Steven will fire up the grill any time of the year if he can. There’s just nothing like food cooked over a flame. 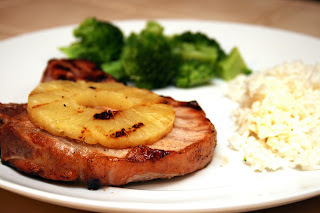 These grilled pineapple pork chops were extremely easy to make, and the marinade gave them a nice light flavor, especially when topped with a pineapple. Yum. 1) In a gallon size Ziploc bag, combine pineapple juice, brown sugar, soy sauce, garlic powder, and pepper and smush the bag a few times to mix the marinade. Add the pork chops to the bag and zip the bag up removing excess air first. Turn a few times to coat the pork. Marinade for 2 hours or overnight if you prefer more flavor. 2) Preheat grill. Remove the marinated chops from the bag, shaking off excess marinade, and grill until browned or 5 to 8 minutes per side. 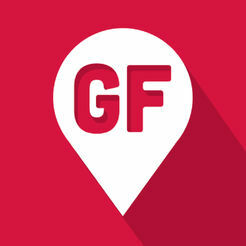 The meat will be no longer pink inside and will have visible grill marks. Brush the chops with the marinade a few times while grilling and discard the excess. 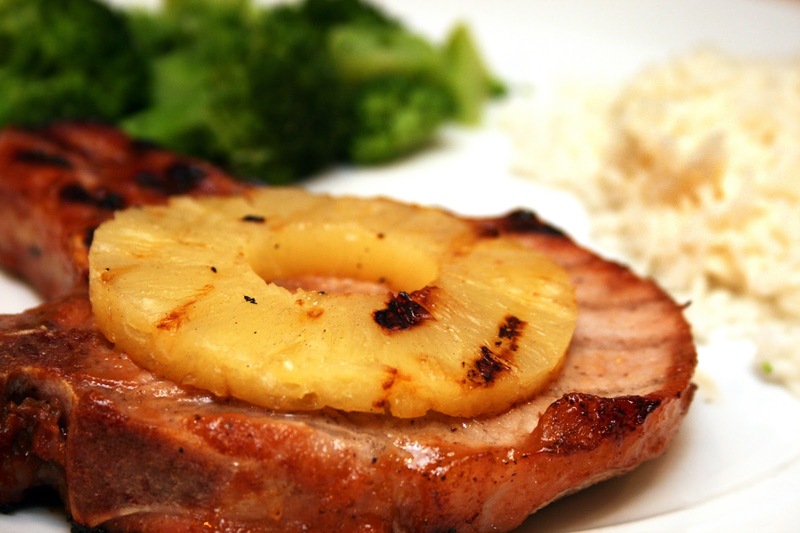 After the first 5-8 minutes, place the pineapple slices on the grill and allow to cook until hot. 3) Serve the pork chops topped with the pineapple rings.